I cannot be impartial but very much subjective when I talk about Fred Crane because he changed my view of science and opened a new highway that I am still touring. Frederick L. Carne was born in New York on December 3, 1925 and after a tour in Europe as soldier in the 2nd World War, he studied chemistry in the University of Michigan, Ann Arbor, obtaining the PhD in Botany in 1953. 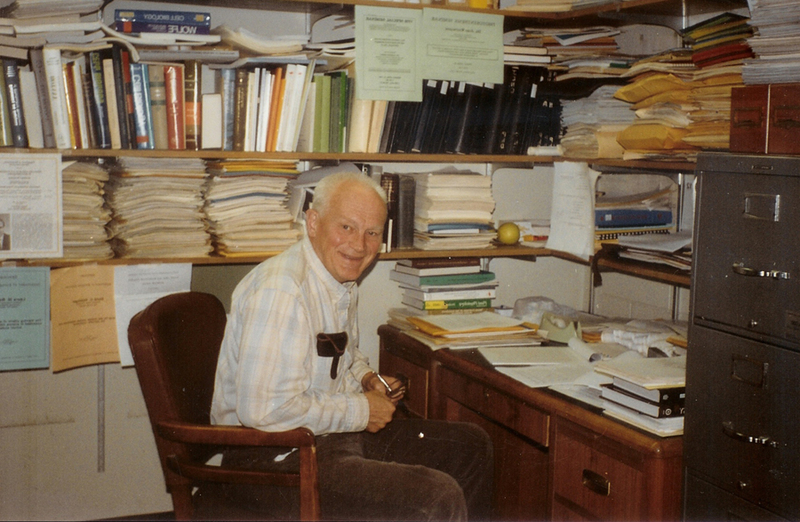 His postdoc at the Institute of Enzyme Research, University of Wisconsin (1957-1959) in the section directed by Dr. David E. Green, has been transcendent for biology knowledge of bioenergetics and particularly is current after the huge influence on the discoveries and importance of coenzyme Q in many aspects of health and disease, particularly in mitochondrial diseases. He published in 1957 the discovery of a quinone1, now named coenzyme Q, in heart mitochondria that boosted the understanding of ATP biosynthesis by oxidative phosphorylation. You can enjoy with a beautiful piece of historical science of this discovery written by himself2. After two years collaborating with Karl Folkers at the University of Texas, Austin, he definitively incorporated as staff in the Biology Department of Purdue University, Indiana until his retirement. The high influence of Fred L Crane has not been only based on his research published in more than 500 papers, but on his personality and personal treatment when talking to him. He did long-term visits in research institutes and universities around the world, from Australia to Stockholm, where he imprinted a new and currently valid way to see science, scientists and publication politics. He always maintained that if a paper is good is going to be read anywhere was published, and evading from the climbing obsession of impact factor indexes. He has received numerous awards and actively contributed to the constitution of The International Coenzyme Q10 Association in which he was Vice-Chairman (1997-2002). After his retirement from Purdue University, he is still active supporting to many of us, maintaining active correspondence with many scientists, and promoting the hypothesis that coenzyme Q redox reactions in plasma membrane are related to autism development3. FL Crane, Y Hatefi, RL Lester, C Widmer (1957) Isolation of a quinone from beef heart mitochondria. Biochim Biophys Acta 25: 220-221. FL Crane (1989) Comments on the discovery of coenzyme Q. Biochim. Biophys. Acta 1000: 358-361.